The ICEC Alumni Group brings together former students to reconnect and celebrate our shared affiliation with this extraordinary organization, through events, forums, and other services. 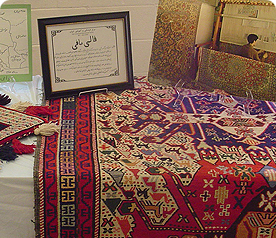 For many community members, ICEC represents a meaningful part of their childhood and was the foundation upon which they built up their Persian heritage. It is the shared memories and moments from our time at ICEC that bring us together to support each other and this organization. Each story, each lesson is a glimpse into our cultural and educational identity and the identity of our community at large. The mission of the ICEC Alumni Group is to create a nationwide and lifelong community of former students and families to enhance ICEC by connecting alumni to each other and to the organization. By providing valued services, organized events, and other exciting opportunities to alumni, the ICEC Alumni Group hopes to encourage engagement amongst ICEC community members that will lead to lifelong connections and extend ICEC’s legacy of education, culture, and community. Keep alumni up-to-date and conversant on the happenings of the ICEC community and organization. Encourage fellowship and participation amongst alumni in hopes of creating lifelong connections between alumni and each other as well as between alumni and ICEC. Support the mission of ICEC by supporting the organization and its program, as well as assisting in the growth of the organization’s academic, cultural, and extracurricular activities.